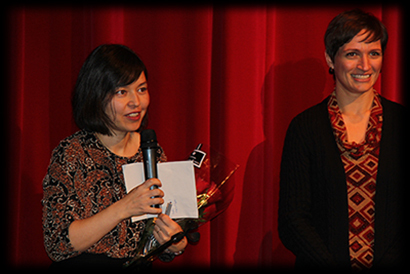 ONE CANDLE PRODUCTIONS is a theatre organization based in Edmonton, Alberta, Canada, producing plays since 2007. The primary goal of ONE CANDLE PRODUCTIONS is to produce an annual nativity play, A Christmas Karol: the Karol Wojtyła Nativity Play. The first play was performed in 2007 and the most recent play (the eleventh) was performed in 2017, with a cast of 59 children and youth. The plays take place in Edmonton. The nativity plays are dedicated to St. Pope John Paul II (Karol Wojtyła), who knew the power of the Word to transform the world. He was an actor who participated, during the Nazi occupation of his country, in clandestine dramatic readings of Polish epics. He and his fellow actors risked their lives to do this, meeting secretly and performing in darkness. This was an act of brave defiance; it was a preservation of what was precious in an atmosphere hostile to what was good. 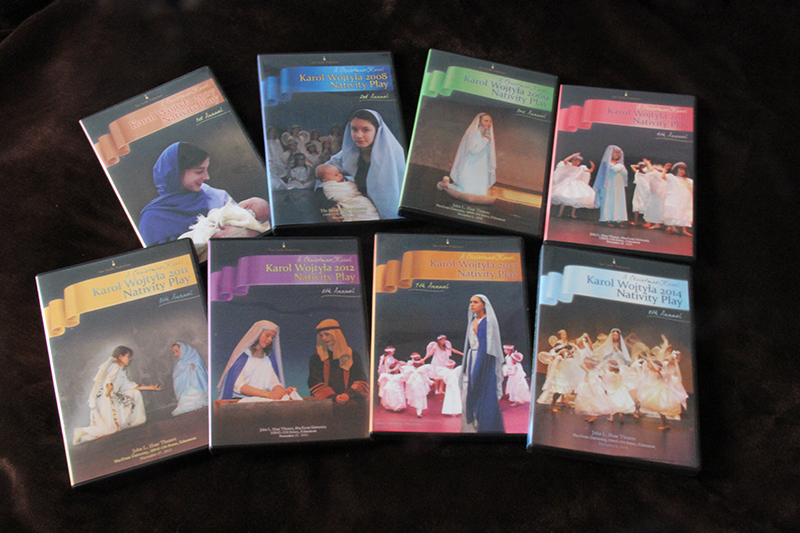 In a similar spirit, these nativity plays are intended to preserve a key element of our Christian heritage. It used to be quite common for parishes and schools to organize an annual nativity play – this happy tradition dates back centuries, inspired initially by St. Francis of Assisi. Nowadays theatre productions abound, but the beautiful story of Christ’s birth is left largely neglected, even by Catholic schools. Our version begins at the very beginning of the Gospel of Luke, with the appearance of Angel Gabriel to Zechariah, husband of Elizabeth and father of John the Baptist. On August 9th, 2014, One Candle Productions debuted its production of the Old Testament story of Tobit to a highly appreciative audience at St. Thomas More Catholic Parish in Edmonton. From August 14th to 23rd, the twelve-member adult cast and crew presented this story six additional times at the 33rd Edmonton International Fringe Theatre Festival. (The story involving seven marriages was thus presented seven times!) By August 23, 2014, therefore, One Candle Productions had 14 plays under its belt – the first seven occurred over a span of seven years and the second seven occurred over a span of days. 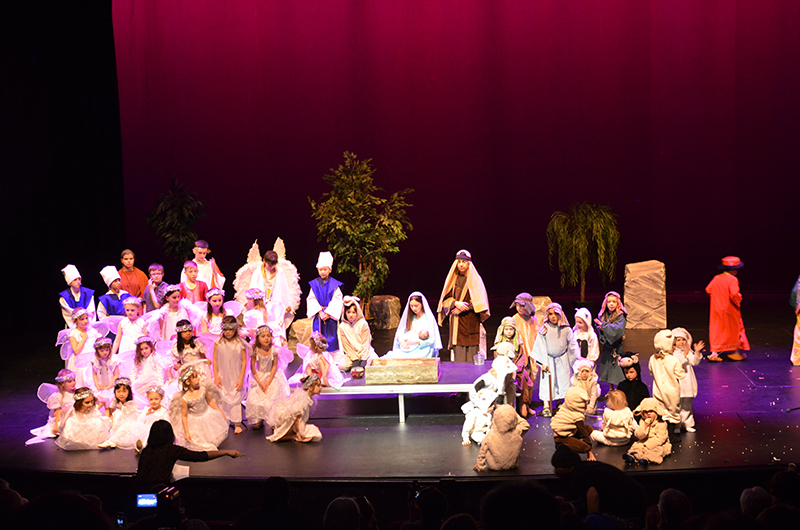 The nativity play performances have each been taped and professionally edited. To see excerpts from these videos, please click here. Copies are available for purchase by clicking here. Videos are $50 CDN each. If you are interested in organizing your own nativity play, the script of the Karol Wojtyła Annual Nativity Play will soon be available for purchase. The place that the shepherds found was not an academy or an abstract republic, it was not a place of myths allegorised or dissected or explained or explained away. It was a place of dreams come true. This is no time to be ashamed of the Gospel. It is the time to preach it from the rooftops. Do not be afraid to break out of comfortable and routine modes of living in order to take up the challenge of making Christ known in the modern metropolis.